Putting on foundation is something that we definitely can’t skip. 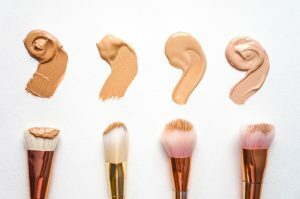 There are foundations that provide excellent coverage or hydration, which are popular amongst users of all ages, but with brands like L’Oreal, Benefit, Shiseido, and NARS releasing great foundations, how are we to choose? That’s why in this article, we’ll introduce a few pointers to take note of before you start choosing a foundation. We’ll also include a list of top foundations you can get online in the Philippines, so make sure to read until the end. Why Choose a Liquid Foundation? Liquid foundations are more versatile in terms of application–you can use your fingers, a brush, or a sponge. They’re also easier to blend into the skin. 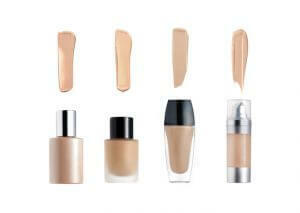 They even out skin tone and provide a buildable coverage; and most important of all, they cater to different skin types. You can also choose from different finishes: matte, semi-matte, dewy. Matte foundations help control oil, while dewy foundations give dry skin a healthy glow. Most liquid foundations also include a hydrating formula, which means it’s less likely to dry out your skin. Not all liquid foundations are the same. 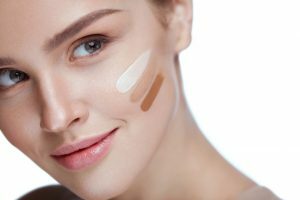 In this next section, we’ll tackle those differences to help you determine your perfect foundation. Different liquid foundations have different features, each catering to a different skin type, so make sure to choose a liquid foundation suited to your skin type. People with dry skin should first focus on preventing their skin from drying out. We recommend using a liquid foundation that contains hydrating ingredients, such as hyaluronic acid or ceramides. Also, to avoid flaking, avoid liquid foundations that are difficult to take off. While you try to take off your makeup at the end of the day, it’s likely that you’re also removing your skin’s natural oils. Constant use will dry your skin out even more. For people with oily and acne-prone skin, we recommend liquid foundations that can regulate the production of excess sebum and oil. This way, your makeup will be able to last longer. Matte or semi-matte foundations are also recommended as these will prevent your face from oiling up and getting shiny. Just make sure that the foundation doesn’t dry your skin out, oily skin still needs proper hydration to prevent the overproduction of oil and sebum. This doesn’t mean you should choose an oil-based liquid foundation, as this will just make your face oilier. Choose an oil-free liquid foundation that controls sebum production and comes with hydrating ingredients. People with sensitive skin are susceptible to slight irritation, that’s why it’s important to choose a foundation that’s lightweight and easy to remove. It’s also easy to irritate sensitive skin during cleansing. 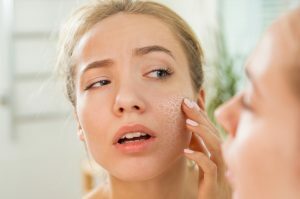 It’s also advisable to stay away from chemical-based liquid foundations, instead, look for mineral foundations that have no additives, which can cause allergic reactions. Also, stay clear of parabens, sulfates, and fragrances. Getting the right foundation shade is a challenge for a lot of people, that’s why we’ve prepared a few tips to make you find yours. After all, it will look very unnatural if the foundation on your face doesn’t match the color of your neck. That’s why when you’re looking for your shade, make sure to test the foundation on the skin between your face and neck. Did You Test It Under Bright Lighting or Natural Lighting? Depending on under what kind of light your test your foundation on, it will look different. There have been cases where people found that the shade that matched them in the store, actually did not match them when they got home. That’s why it’s best to test the foundation out in natural lighting to make sure the shade fits you perfectly. Some foundations have a tendency to oxidize, which means the color darkens over time. People with oily skin are especially prone to this type of problem. This is why we recommend choosing a shade lighter to allow the foundation to adjust to your skin tone, instead of turning a shade darker. One of the defining traits of a liquid foundation is its ability to provide a natural, flawless finish. But of course, there’s no point in wearing a foundation that can’t provide enough coverage to cover imperfections. 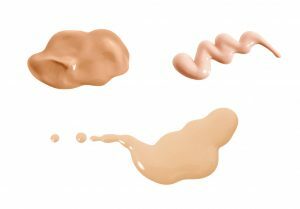 You can determine the coverage of a liquid foundation by checking its texture, so make sure to choose the right coverage for your skin concerns. Watery liquid foundations do not provide a lot of coverage, so these are recommended for people who prefer a natural finish. For those who want to cover large pores, it would be better to choose a full coverage liquid foundation with a creamy consistency. Now that you’ve gained a better understanding of what type of foundation will suit you, we’ve also prepared a variety of great foundations available online, so we hope you see something you like. 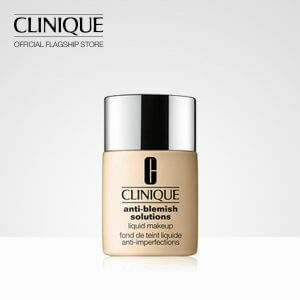 This intelligent liquid foundation dissolves at body temperature, which allows it to seamlessly blend into the skin for a natural and flawless finish. It also evens out skin texture with its “pore correcting powder.” It also provides broad-spectrum sun protection at SPF25. It also adapts to different temperatures with its temperature-reacting oil and film that allows the skin to breathe even at high and humid temperatures (aka Philippine summers). It also makes sure your skin is hydrated while you’re hiding out from the heat in freezing, air-conditioned malls. This oil-free foundation is specially formulated to conceal and treat acne, neutralize redness, and also control breakouts. The medicated ingredients not only treat the acne but also prevent breakouts from occurring. It has a matte finish and provides medium coverage, which can last up to 8 hours. Its formula is sweat- and humidity-resistant; plus, it’s free of parabens. 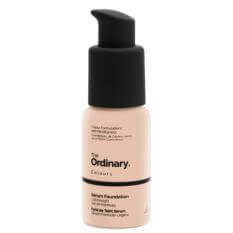 This foundation works best on oily skin as it does have a tendency to cling to dry patches. This foundation is formulated with natural ingredients, English rose water and aloe vera, which hydrate and soothe dry skin. It’s free of harsh chemicals, so it’s safe for sensitive skin. People with mature skin can rejoice too because this foundation does not settle in fine lines and wrinkles. This product will last for around 7 hours on normal to dry skin. It has a buildable medium coverage and has a semi-matte to a dewy finish, so if you have oily skin, we recommend going for a more mattifying and oil-controlling foundation. This liquid foundation will give your dry, mature skin a healthy-looking and flawless complexion. 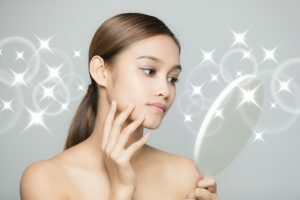 It has great coverage, which will cover most of your stubborn imperfections, and it also contains light-reflecting particles, which is the secret its healthy-glow. It also contains skin hydrators that make sure you’re skin is both healthy inside and out. On normal or dry skin, this foundation should last around 4-5 hours. We don’t recommend for people with oily or combination skin, as it will only last you for about 2 hours. True to its name, you can’t go wrong with this liquid foundation. It has a lightweight and creamy consistency, which provides a demi-matte finish on application. It will also last you the whole day–you can expect to stay shine-free even at the 5-hour mark. 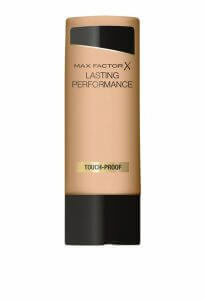 This foundation is recommended for people with oily to very oily skin, as it does an amazing job at regulating oil. If you have dry skin, it would be best to use a hydrating moisturizer before application, especially if you have dry patches. Think of this product as a mix between a serum and a liquid foundation. Its consistency is nowhere near as creamy as regular foundations, so it feels like nothing on the skin. 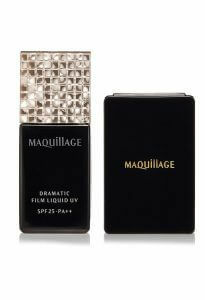 It provides a medium sheer coverage that can even out your skin tone. It doesn’t cake or settle into fine lines; what’s more, it can last for up to 7 hours. Although it claims to have a semi-matte finish, it actually has more of a dewy one. 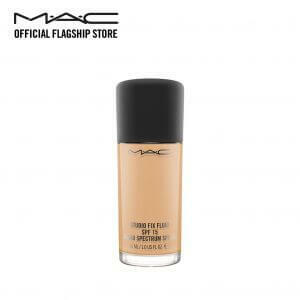 Overall, this is an affordable foundation with amazing quality. This liquid foundation will last from morning to evening, and you won’t have to worry about getting it on your clothes too! 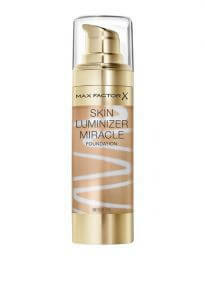 It uses a film-forming technology that gives the appearance of firmer skin while covering imperfections. It’s oil-free, fragrance-free, and noncomedogenic, so it’s safe for sensitive skin. It’s also light on the skin. It does, although, have a tendency to oxidize, so you might want to choose a lighter shade if you have oily skin. 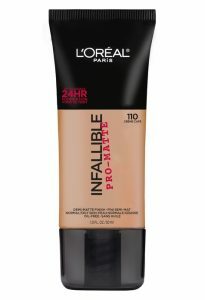 This liquid foundation performs amazingly despite its affordable price tag. It has a buildable medium coverage, which covers mild blemishes. For dark under eyes, you will need a concealer. It can stay put for around seven hours, but if you have very oily skin, you might need to touch up midday. 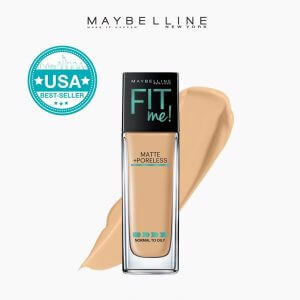 This foundation’s buildable coverage, matte finish, and long-wearing formula make this a great choice for the humid weather in the Philippines. This product does have a tendency to oxidize, so if you have oily skin, you might want to choose a shade lighter. 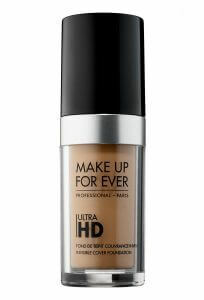 This liquid foundation has a medium-to-full buildable coverage, which stays in place all day long. It can cover pores, acne and acne scars. It’s best applied with a damp sponge, instead of a heavy hand, to prevent it from looking like a mask. It’s oil-free formula and matte finish are also perfect for oily skin. It won’t cake or settle into the natural creases of your face. It also has broad-spectrum sun protection, so you’re protected from both UVB and UVA rays. One caveat is that it does not come with a pump, which you need to buy separately. 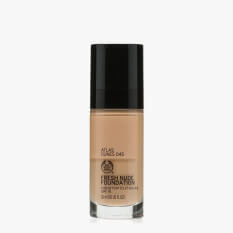 This liquid foundation works just like a second skin–it provides medium coverage while completely looking natural. It’s completely weightless on the skin, so it’s perfect for people who don’t like heavy foundations but still want adequate coverage. It provides a semi-matte finish with a slight glow. It’s formulated with hyaluronic acid, so it won’t dry out your skin. It’s perfect for normal to combination skin, so if you have very oily skin, we recommend using a primer and a setting powder with this foundation. 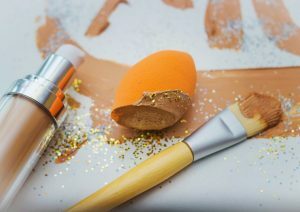 For those of you that seem to always end up with a thicker layer of liquid foundation than wanted, try using a makeup sponge, instead of using just your fingers, to evenly apply the foundation. You can also first swipe the foundation using your fingers, and then immediately blend it out with the sponge before it starts to dry. If you want a lighter, more natural finish, try using a foundation brush. It will need a bit of practice to master, but this method will also save you more product compared to applying it with your fingers or sponges. Foundation is definitely a necessary item everyone needs to have in their makeup arsenal. After all, it serves as the base for everything else we put on our face. That’s why, we hope you’ve learned something new, or even better, found something you like.